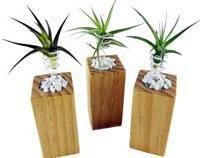 Easy care plants to brighten up indoor spaces. 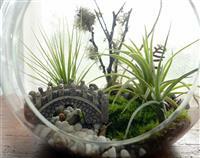 Amazing Air Plants/Tillandsias No soil needed, just air & water. Beautiful shapes, colours and flowers, Air Plants look fabulous in Ecobubble Air Trees, Terrariums and Air Plant Hangers. Strangely odd Succulents & Cacti Very little to do but to watch them grow and bloom. Each unique in shape and flower. 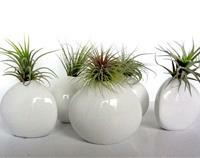 In a Zen like porcelain pot or a Terrarium, they look fabulous. Gift a plant A Plant is a long-lasting living gift. Send an Ecobubble living gift to your friends, family, or work colleagues. Suits all occasions, happy or sad. Beautifully packaged prepared with love, include a card and your message. Air Tree, Pine & Sto.. Pinch Pot & Air Plan..